Good morning everyone, I am so sorry I have not posted anything in a very long time. The summer was good and busy then it is time to get back to school/work. Finally I take the time to write to you in order to share a beautiful quick recipe. I found it on Pinterest and add few tips to make it even tastier. Watch out last time I did, it I had to drive my daughter to school therefore when I came back the vegetable was so drain of water that it was as salty as can be. Never the less I thought it could not be noticed. I was wrong it was so awful!!!! While the eggplant sits, make the sauce. (if using already made sauce no need to preaviously warm it up. Heat 2-3 tsp. olive oil (depending on your pan) and saute the crushed garlic just until it becomes fragrant. After 30 minutes, wipe the eggplant dry with paper towels (this also removes most of the salt.) 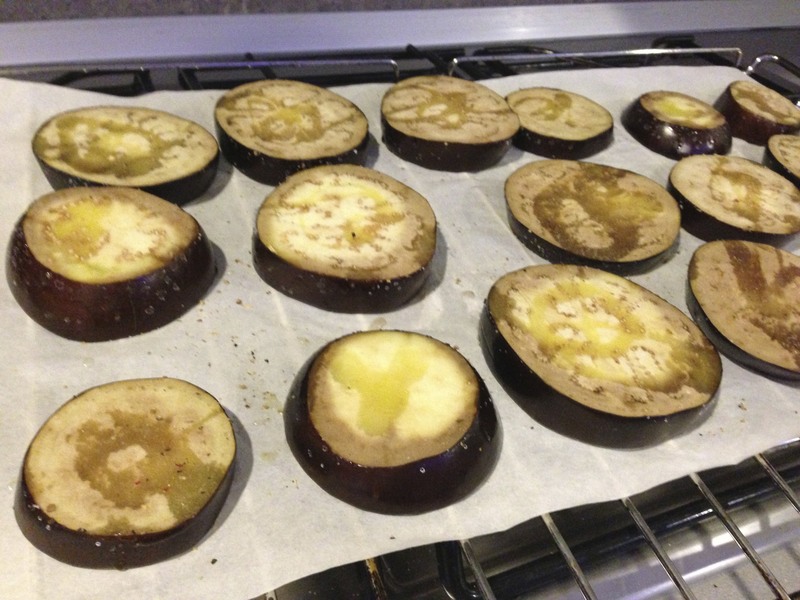 In a non stick baking tray brush lightly with olive oil or use baking sheet, lay eggplant slices on, brush the tops of the eggplant with olive oil, and sprinkle with dried oregano or other herbs. Grill the eggplant about 10 minutes or so on each side. Watch out it burns easily. While the eggplant roasts, thinly slice the fresh basil leaves (if using) and combined freshly grated Parmesan and mozzarella. 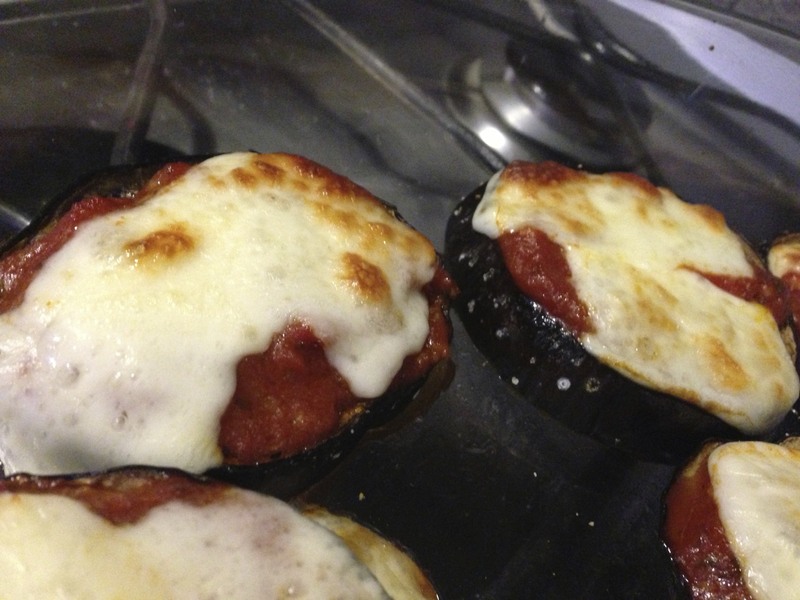 After 25 minutes or when eggplant pieces are done, remove eggplant from the oven and turn oven setting to broil. 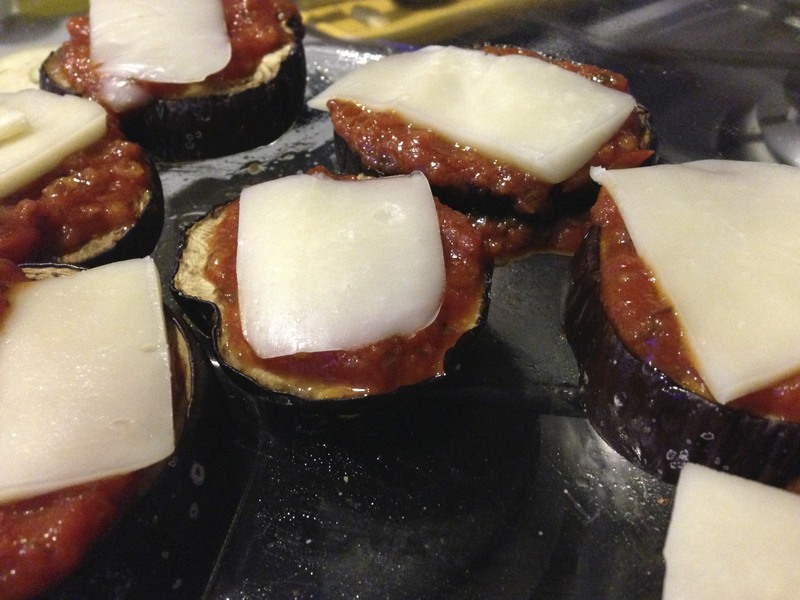 Spread a few tablespoons of sauce on the top of each eggplant slice, sprinkle with thin basil slices (if using) and top with a generous amount of cheese. Put pizzas under the broiler until the cheese melted and slightly browned. (This took 6-7 minutes for me, but I was using a toaster oven and in a more powerful broiler it would probably only take a few minutes.) Serve hot! Risotto is delicious to eat hot and freshly made. But what do you do with the leftovers. My family, I guess I spoiled them too much, would not eat a reheated risotto especially the next day. As I never spoil food, I decided to look through the internet and found some ideas to adapt to my family tastes.I do apologize, this time I will not give you the precise quantity since it all depends on how much left over risotto you have. In a pan fry onion with olive oil. When reach golden color add the risotto and mix in some whipping cream. Continue cooking until you reach a nice combined consistency. Let it cool in a large plate. 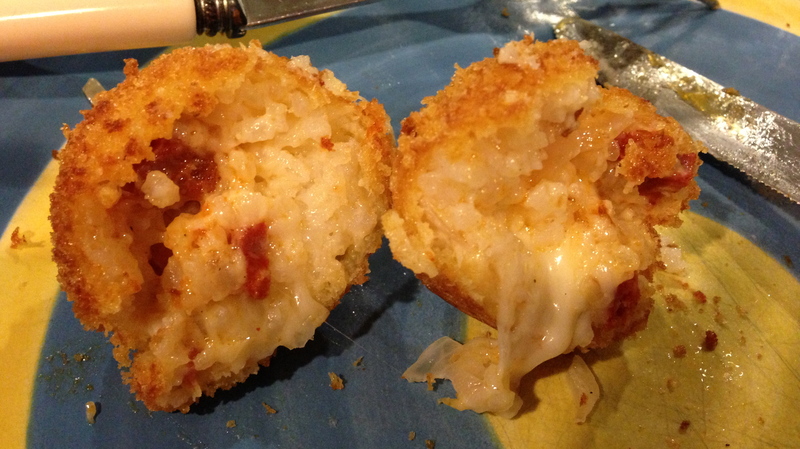 With your hands (I use disposable gloves), make ball shape out of risotto. 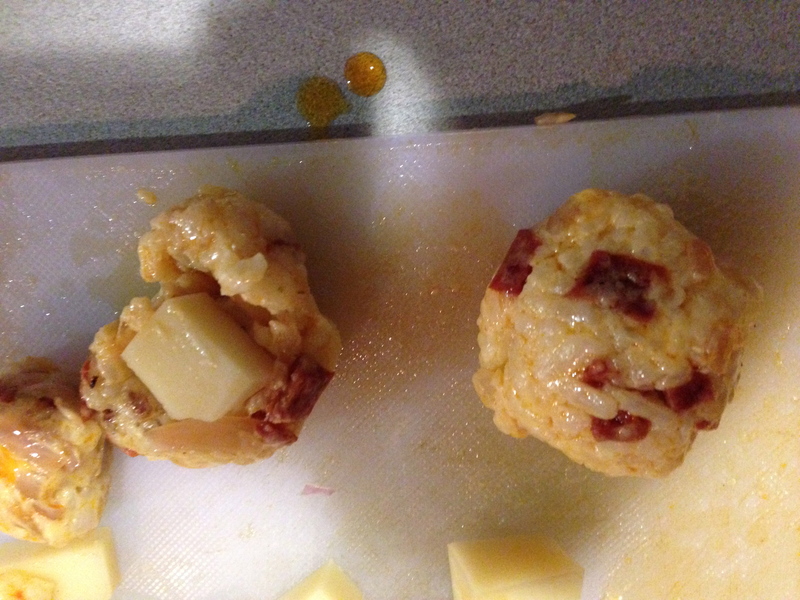 Then place at the center of each ball one diced mozzarella. Make sure it is well covered as you do not want your cheese to come out easily while frying. Whisk the eggs and pass trough a strainer in order to get a smooth texture. Place in a large bowl. In another bowl poor the bread crumbs. 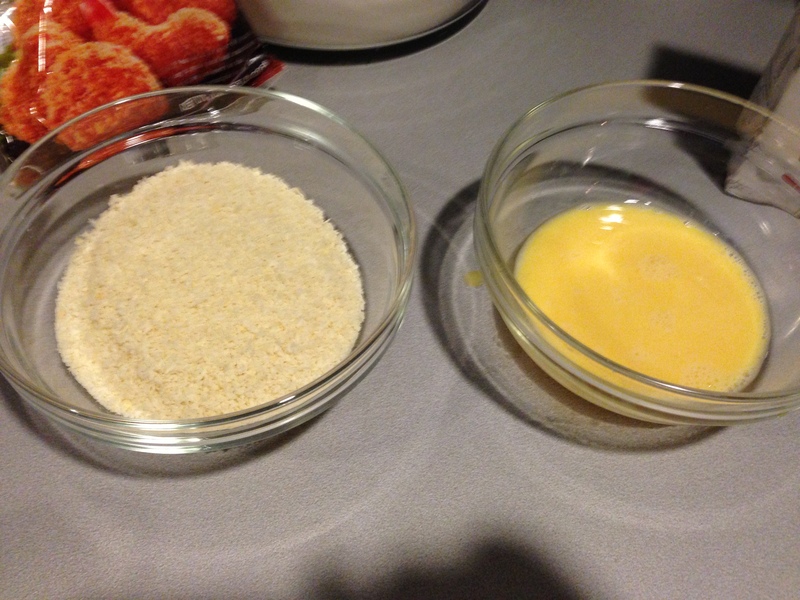 Deep and roll the balls in the eggs mixture, lift and allow excess egg to drip off, then put it on the breadcrumb bowl. Using the other hand roll in and again shake off to remove excess. 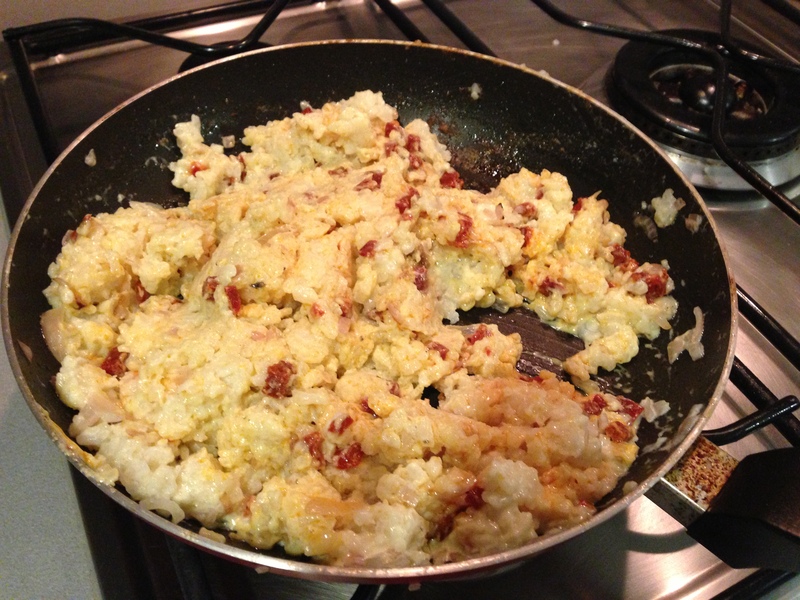 Again roll into the eggs mixture and then bread crumbs. 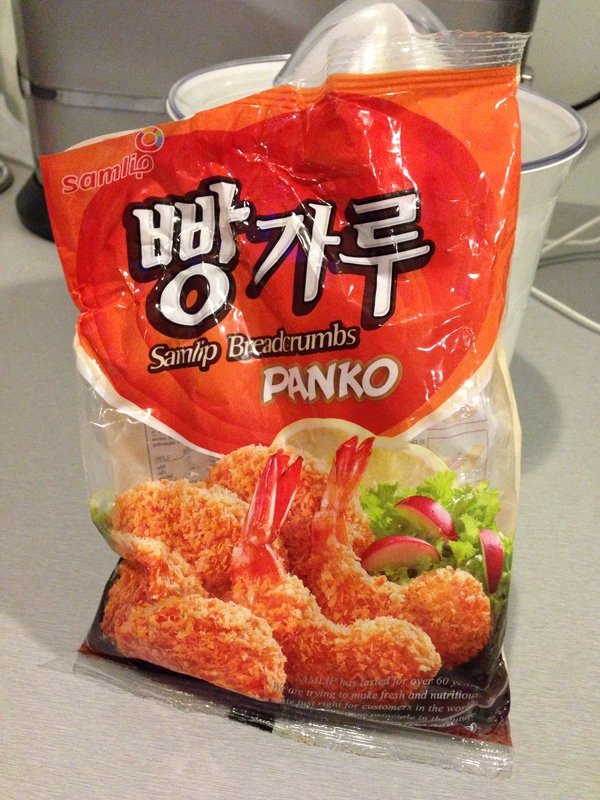 It is slightly time consuming but coating it twice give an extra crispy texture that is so yummy. 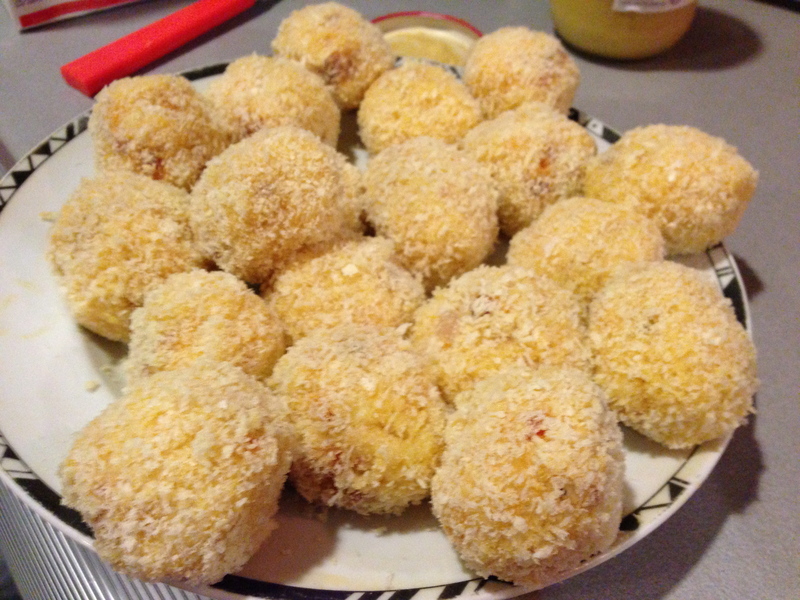 Repeat with all the remaining Arancini rosi. In a wok, heat up oil at 375 degrees. The result is absolutely divine. 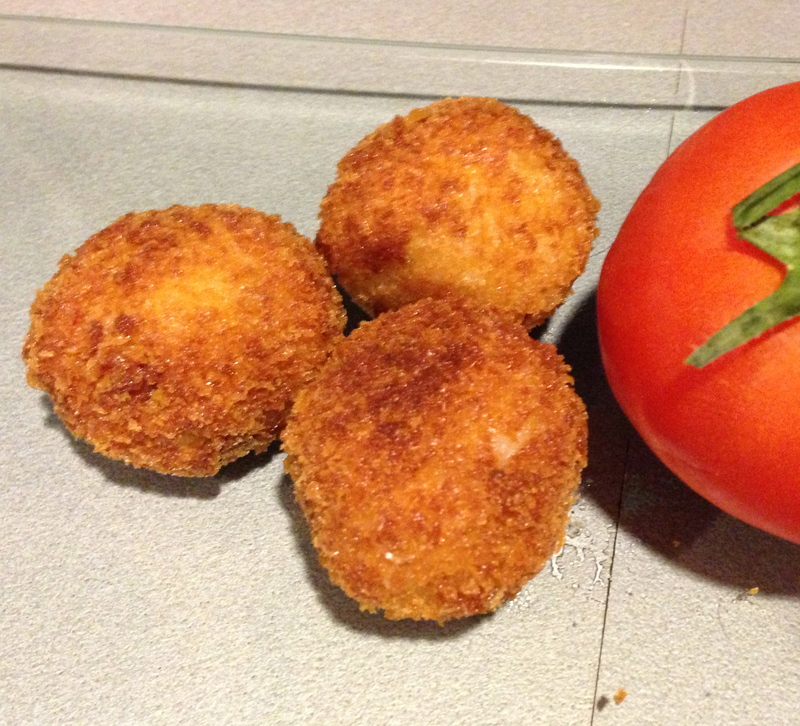 You can store the balls before being fried in the freezer for later use. microwave at lowest temperature for 2 minutes. Then it is ready to be fried. Here is an easy recipe that will impress your guests. The tartlets are just too cute and so delicious. I have made a few changes to the original recipe. Christophe Felder, and yes after Christophe Michalak (of whom I’m a super fan, several of his recipes are available on the blog) we have Christophe Felder … Married to a Christophe I seem to get attracted to this forename! This virtuoso and sugar passionate was pastry chef at the Crillon hotel in Paris at the age of 23. It has been translated into English as <Patisserie: Mastering the Fundamentals of English Pastry>. 250g Royal Gala, or if you prefer, Golden delicious apples as long as you use a fruit that caramelizes well. Peel the apples, core and cut into small dices. 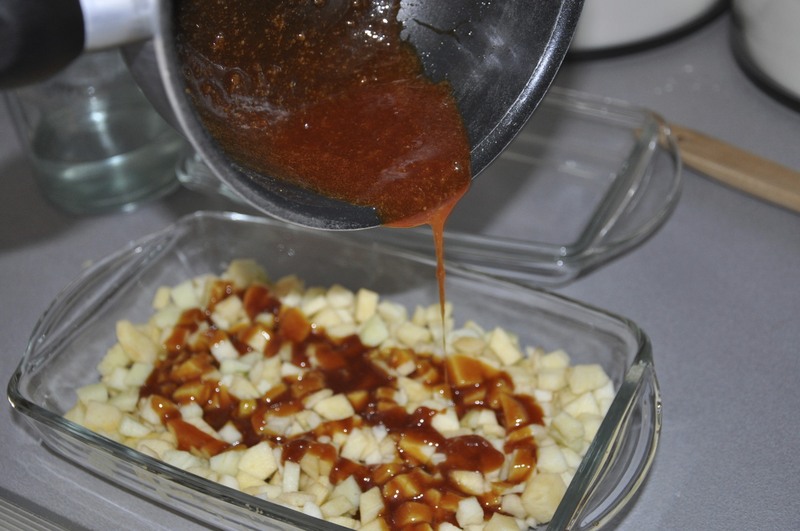 Make a caramel by placing the sugar in a dry pan, preferably with a thick bottom. When the caramel becomes brown and while the pan is still over heat pour the warm water and stir until reaching a smooth consistency. Remove from heat, add the butter and mix well. 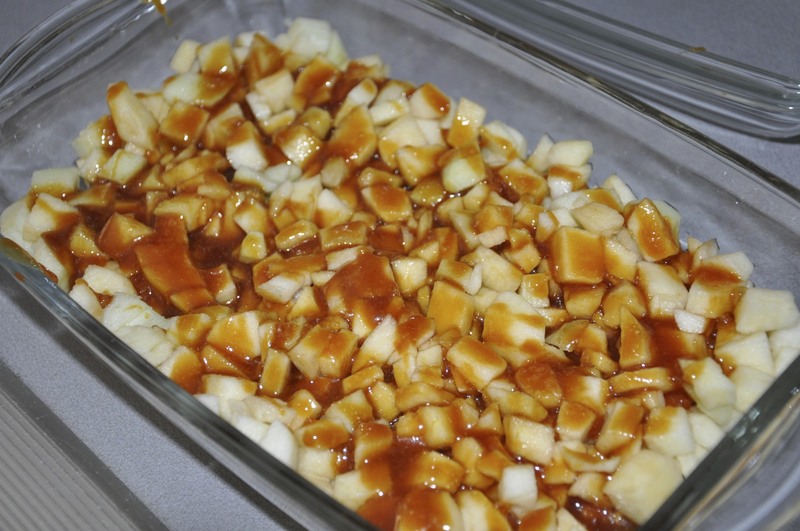 Place the apples in a baking dish, pour the caramel over but keep the thickened and reduced part in the pan. 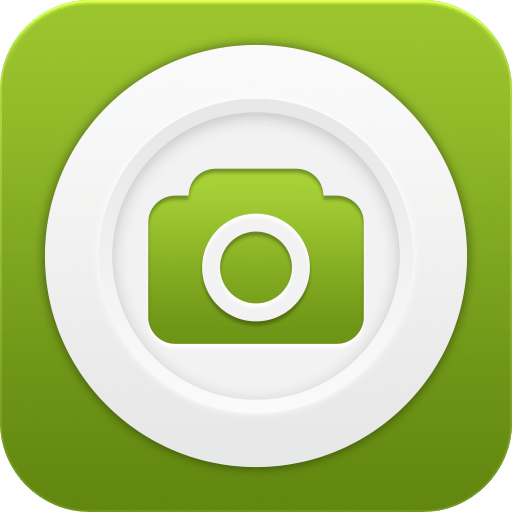 As seen in the photo above. Cover with a foil and bake the apples for 30 minutes at 180 °C. Then remove the foil and bake for another 30 minutes or until the apples are cooked and tender like “Preserve”. Use a silicone mold with mini half spheres or if not available, grease mini mold pies as substitute. 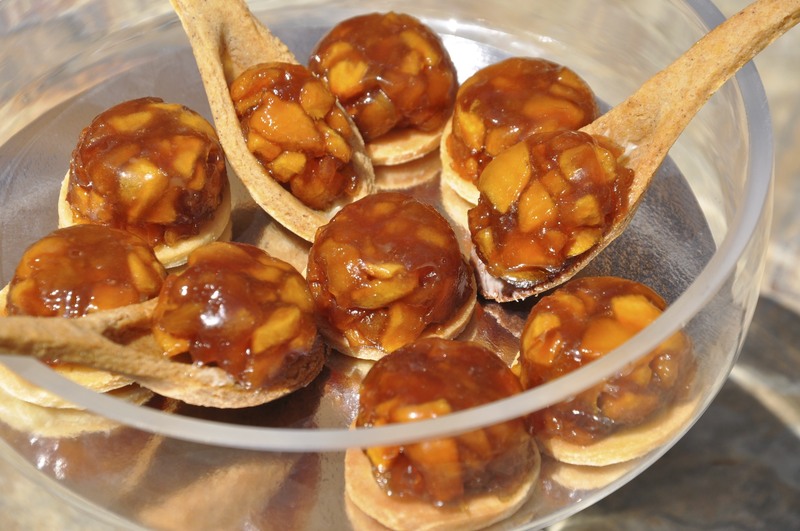 Fill the molds with the caramelized apples, smoothen the top well with a knife as it will sit on the biscuit and therefore must be totally flat. Place the molds in the freezer for 1 to 2 hours. Meanwhile roll the dough thinly and using a circle cutter or a small glass form 25 cookies. 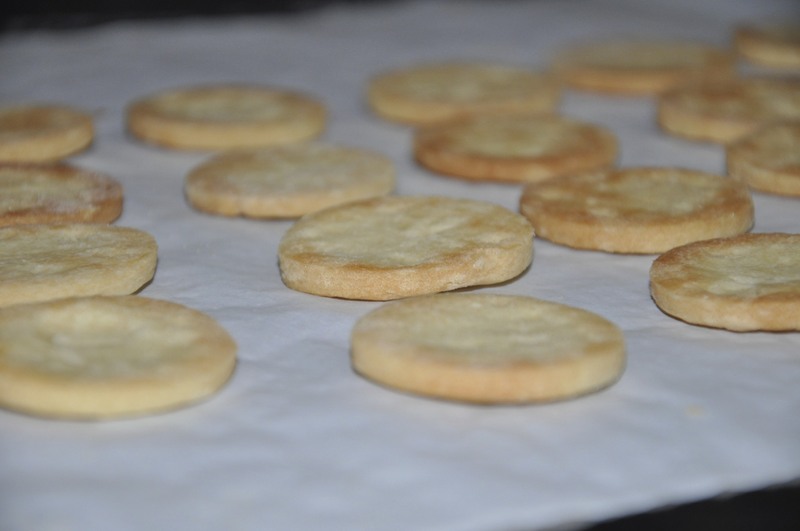 Bake the cookies in a preheated oven at 180°C for 10 minutes or until the edges are golden. Boil the water, sugar, and zest. If you are using powdered gelatin now is the time to add it and let it boil for 2 min. If you are using a gelatin sheet soak it previously in water. Whisk well. Strain to get rid of the zests. Let it cool at room temperature, it will thicken. Remove these little wonders from the fridge 30 minutes before serving and keep at room temperature. Place one on each cookie. With a brush, coat the domes of apples with the prepared glaze. 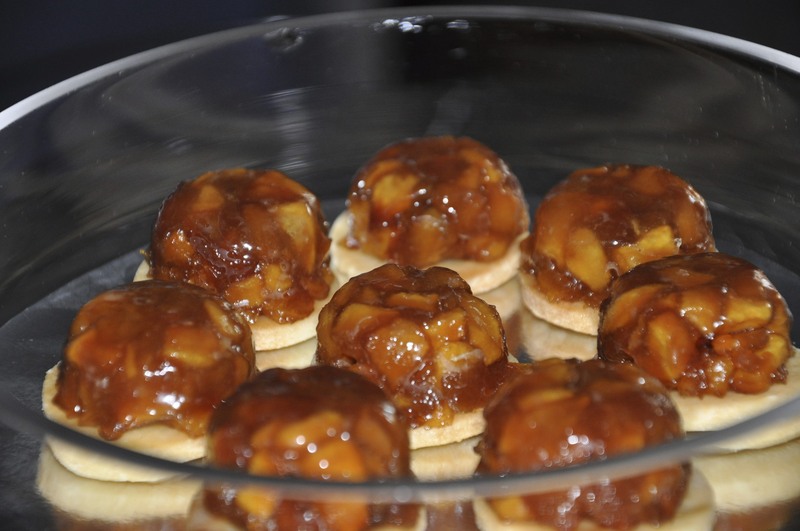 Remove these little Tatin from the fridge 30 minutes before serving and keep at room temperature. In the United States, They love boiled eggs sandwiches. 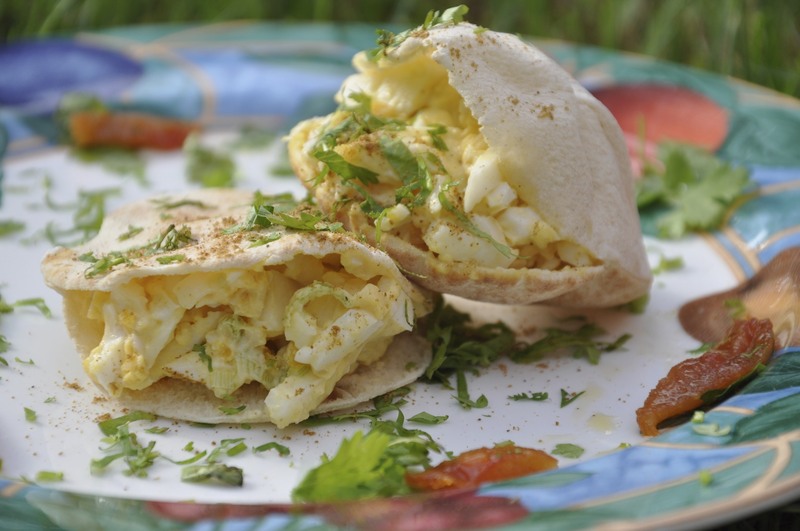 For this recipe I used mini pita bread, but you can easily substitute with any kind of bread. Never the less I find Pita bread lighter as the egg mixture is quite filling. Once you have boiled your eggs immediately peel them, crumble and mix with curry powder. It might be quite hot but you will enhance the flavor of the spice. Mix with mayonnaise, coriander, and onions. Fill you pita bread or spread on your bread. Don’t you just hate spending tons of money for a drink using milk, coffee and caramel. Add some caramel in the bottom of a tall glass as well as on the border or as you like it. Blend all the ingredients except the caramel and the whipped cream in a blender for 45 seconds. Pour into the glass and top off with whipped cream and garnish with caramel. As a substitute for the kids I replaced Coffee by caramel. In 1803 it was as « tion » in a technical sense foundry is borrowing an Occitan word already attested in Old Provençal (1391) to designate a bowl, a pool of pottery, a clay pot. It comes from the Greek « têganon » variant « tagênon » (etymological form) « frying pan » no known technical word etymology. The French used to describe the Provencal clay pot, and metonymy, the dish (vegetable pie) baked in a Tian. Sauté in olive oil get a golden color without burning them. Set in the Tian dish or gratin dish. I used the crushed garlic that I keep pot in olive oil. Cut the ends of the eggplant and zucchini. Remove the stems of tomatoes. (You can remove the skin by immersing in boiling water for a few seconds and then immediately into ice water to remove the skin easily. 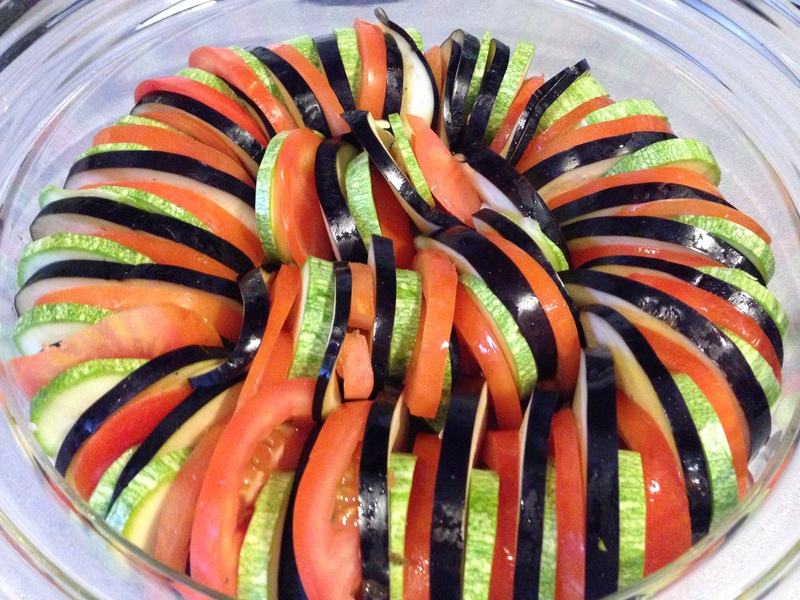 Cut the zucchini, tomatoes and eggplant into slices of equal thickness. Place all the vegetables in the dish vertically, alternating. Make sure you tighten your vegetables as during cooking they will shrink. I put as many vegetables as possible to a maximum. 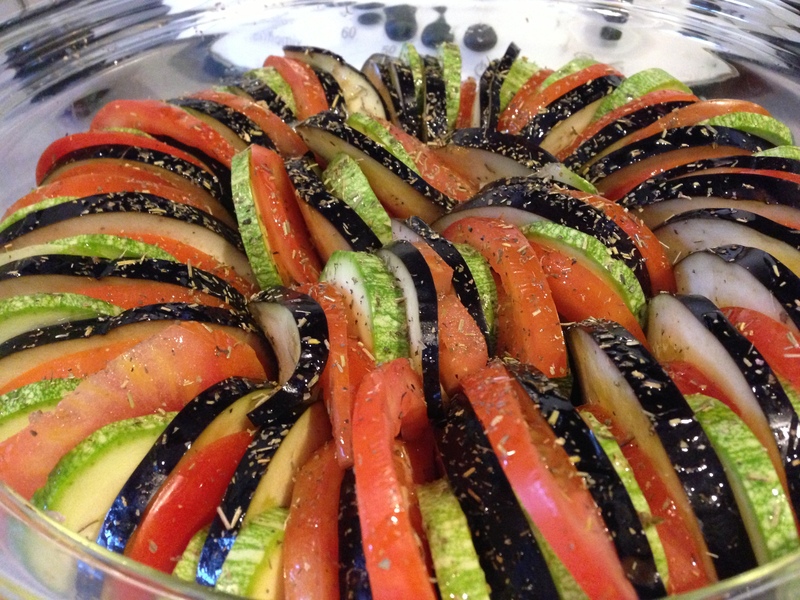 Sprinkle vegetables with thyme, salt and pepper. If you receive guests for dinner, you can easily bake in advance in the oven, and then add an additional 15 min it will only get better. 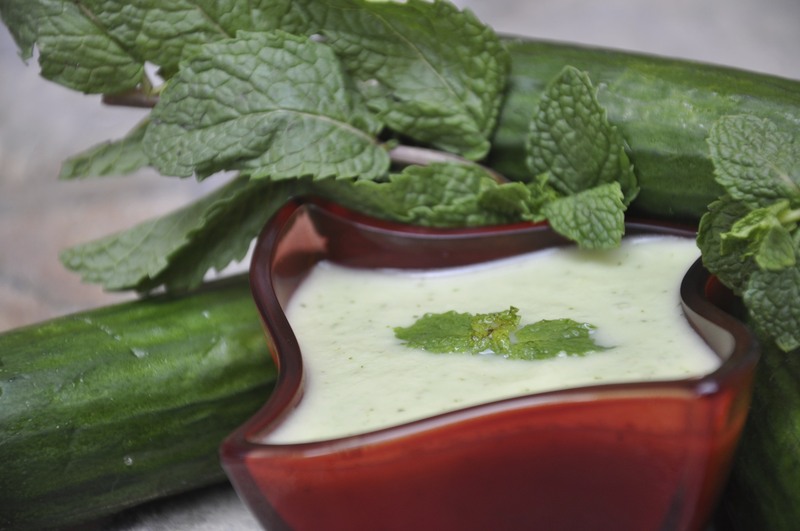 A perfect recipe for the summer, fast, easy and delicious. Also a great way to eat healthy and low calories meal. Peel, cut into two and scoop out the seeds of the three cucumbers. 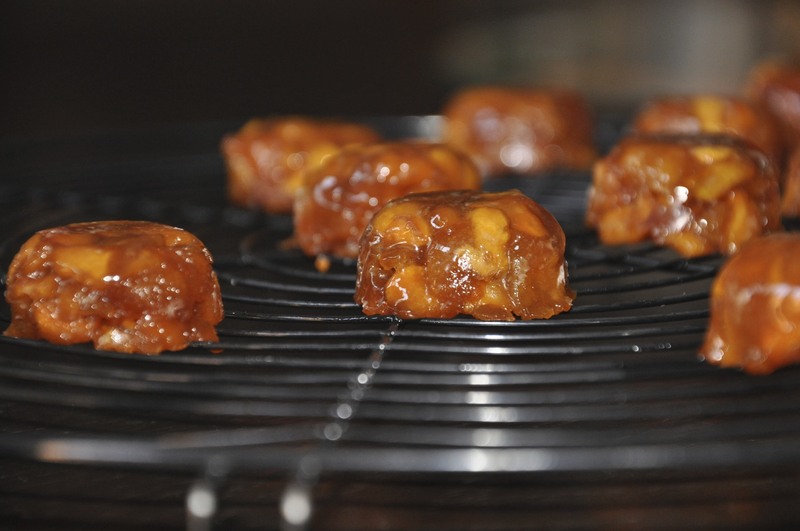 Cut into large chunks and place in the bowl of your mixer. Peel and chop the garlic and shallots. Chop the mint. Add to the mixer the olive oil, youghurt, lemon juice, garlic, shallots and mint. Seasan with pepper and salt to taste. Mix until desired consistency and place in the fridge at least an hour before serving.